Weeding to get rid of weeds has never been that easy. It has always been a tiresome job for many homeowners. Not anymore, when the Tertill, the garden robot has come about to make your gardens always free of weeds. This home gadget is a robot produced by the creators of the Roomba. In a report by Popularmechanics, the Tertill which is like a Roomba, is being powered by solar energy. It is a two-and-a-half pound little chopping machine that recognizes weeds from the plants that you grow through their height. Dubbed as Tertill, it is equipped with sensors that just go around your garden looking for weeds to cut. It does this by differentiating the plants from the weeds as plants are taller than the weeds. The cutting is being done using the spinning string trimmer. In a similar report by Technobuffalo, the robot can be left in the garden alone to do the cleaning and weed cutting. While it chops down weeds it also uses its wheels to cause damage on pre-emergent weeds. Hence, it is safe to say that it never stops killing the weeds every day until they are gone from your gardens. This home gadget is being produced by Franklin Robotics with Joe Jones who used to work at iRobot. He was one of the people who initially proposed the Roomba. The kickstarter campaign for Tertill had started last June 13 and the robot will be selling for around $300. It is expected that the garden robot will be available to the gardeners by next year. For more updates on this technology, stay tuned to Telegiz. 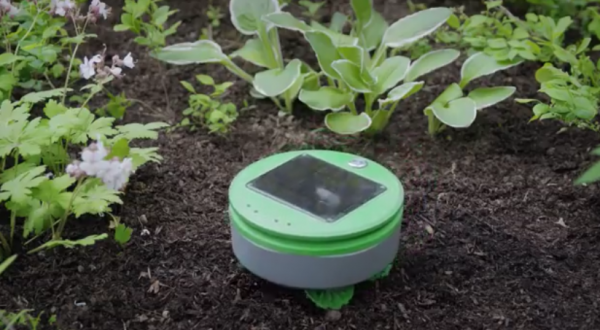 Now, the garden robot is at $300 and is still undergoing some enhancements to its features. ‘Days Gone’ Trailer Revealed at E3; Fantastic and Terrifying but too Identical to Sony’s ‘The Last Of Us’? Deacon’s Mission Finally Unveiled!